Yesterday, I received a pamphlet from XYZ Specially-Abled Children School, a school for specially-abled children or rather say physically-handicapped children. The sole purpose of the pamphlet is to inform about the name change, which was previously, XYZ School For Differently-Abled Children. At first glance, there is nothing wrong and serious about the name change, but if you think again, you will find the fatal error, i.e., the political correctness of the name. 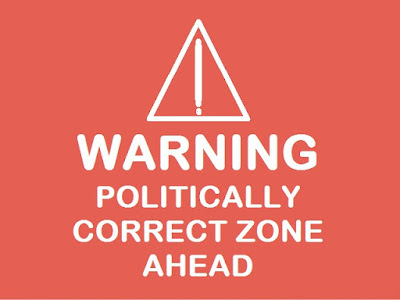 The new politically correct name does not serve its purpose and now, it is a new way to insult the person. Though, the last name was also a politically correct one, but one got used to the word/insult. Though, I cannot map the timeline of the new word ‘specially-abled’, but the word ‘differently-abled’ was invented by American politicians, somewhere around 1980s, to address handicapped/disabled people. Prior to the word ‘differently-abled’, the ‘physically-challenged’ was in popular use to address the same referent. In the similar manner, it was also invented by Americans to address physically-handicapped persons. Now, what is the real problem with the politically correct words. The first problem that they create a new way to insult a person. A bully will remain bully and will use the new term. Instead, of physically-handicapped, he started using, physically-challenged, differently-abled and now, specially-abled. Secondly, they didn’t serve the purpose they meant to be as they have altogether different meaning, i.e., if you look at specially-abled or differently-abled, they translates into someone who have special or different set of abilities and if you look at the physically-challenged, something that challenges you physically. As if everyone is not differently-abled, or someone is not physically-challenged without having any physical deformity. Thirdly, they labels the word in use as bad or unacceptable as a person would be better if he is not physically-handicapped or physically-challenged. So why it happens? Why we invent new words and why they lose their relevancy in short span? The answer is because we don’t want to sound rude and we have bullying mindset. It is our intention behind the use of the word, which fails the very purpose of the politically correct word. Go to the first point talking about the problems behind politically correct words. In short, the politically correct words are dishonest in nature and they are only quick fix. What we need in actuality? We need to fix the bullying mentality. We need to treat people with disabilities in same manner as we treat normals. We need to stop inventing new politically correct words. We need name change from XYZ School For Differently-Abled Children to XYZ School, not XYZ Specially-Abled Children School.